I remember meeting her like it was yesterday. We were at the Creative at Heart conference back in January of 2015 and I remember thinking to myself “man, that girl has the most beautiful red hair”! After spending the weekend chatting at the conference, I quickly realized how much I loved Lauren from So Lovely Weddings and Blooms. Over the past year and a half we’ve met up for dinner, coffee, and collaborated on a few styled shoots. Not only is she hilarious and sweet as can be, Lauren is also incredibly talented when it comes to floral design. Seriously guys, this girl blows me away with her creativity. She’s not afraid to take risks and design things that are a little outside the box, that’s one of the many reasons why I love her work so much! 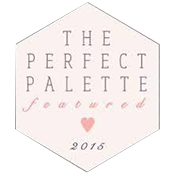 When Lauren emailed me about rebranding her floral and event planning business I was SO excited! Working with your friends is such an amazing feeling – it almost doesn’t even feel like work! So after a few months of brainstorming the perfect name and working on a few logo concepts, Lauren emailed me with some crazy news (I’m pretty sure that was actually the subject of her email)…..she was joining forces with yet another red-headed beauty, Alyssa from Lovely & Bubbly Events! Alyssa was fairly new to the wedding industry, but the moment I started following her it was so clear what a natural she was at event planning and design. Alyssa’s work is amazing and completely packed with so many details, I knew these two were going to make a such a dream team. Moving forward, Alyssa, Lauren and myself collaborated together to create a feminine, whimsical, Anthropologie-inspired brand that was perfect for their new business. Lauren wanted to keep her signature dusty blue from her old brand, but we updated the rest of the color palette to include soft purple, pink, navy and of course…rose gold! 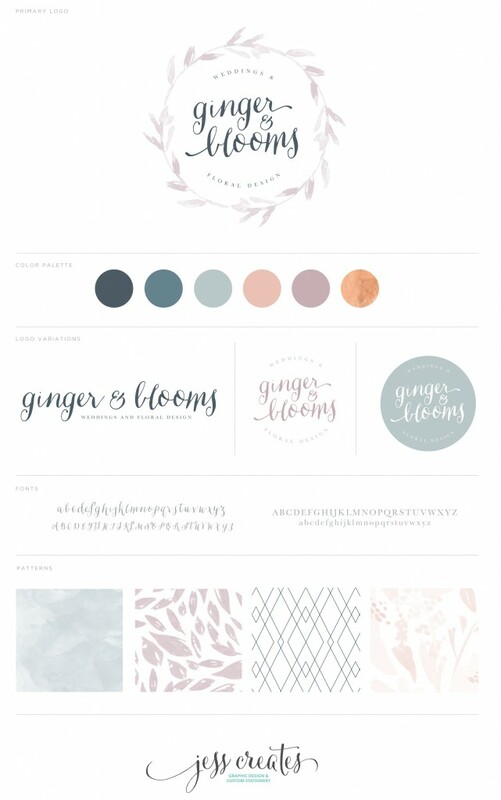 I’m thrilled to share with you the brand reveal for Ginger & Blooms!!! I love you love it as much as I do!